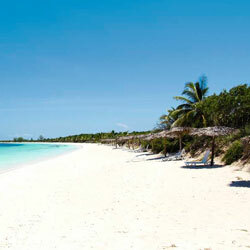 Walk, ride, cycle, discover and relax with a 13 day Cuba travel adventure! Beach and countryside hotels, Private house accommodation. An amazing opportunity to give your curiosity a break by finally discovering how time travelling feels like through 8 holidays destinations in Cuba and over 10 different adventures. 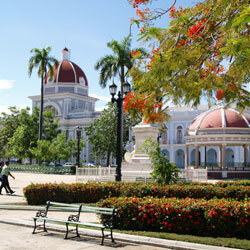 Unveil the secrets of colonial cities like Havana and Trinidad, admire the architecture of Cienfuegos and the historical legacy of Santa Clara, breathe in the pure air of Las Terrazas, Viñales and Topes de Collantes, learn about local fauna and aboriginal life in the wetlands of the Zapata peninsula and rest on a luxury beach resort in the paradisiacal Cayo Santa Maria. But above all, experience the life of locals, by cycling under the sun, tasting traditional recipes at a family restaurant, learning the secrets of Cuba rum or simply sipping a refreshing and sweetened Mojito. You will be welcomed in Havana at the Jose Marti International Airport and transferred to a private accommodation. After breakfast make sure to wear comfy shoes, for a guided Colonial Walking Tour through colourful cobbled streets. 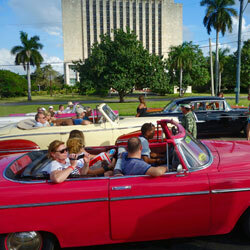 Then, you will ride on a vintage car ride across the modern side of the city. Beautiful 20th century mansions, state buildings, the Revolution square, the University of Havana and the fine coastline populated by amateur anglers will be a magnet for all types of cameras. Lunch is at a local restaurant. Afterwards, you will be transferred to the hotel for a night of your choosing. Now that you understand that Havana has plenty to offer, breakfast at hotel will seem forever as you prepare for your next tour cycling around the streets of Centro Habana and Vedado until you get to Habana Harbour. 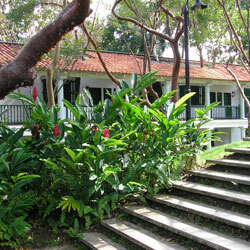 A visit to the Rum Museum is included, which recreates a traditional rum factory and where you will be able to taste this Cuba´s unique rum. Dinner is booked at a typical paladar (private restaurant) in the old town. An early breakfast will precede the beginning of your next adventure. 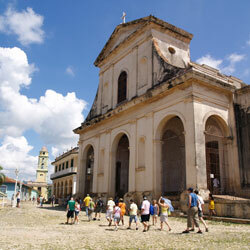 You will be transferred from Havana to the heart of the Sierra del Rosario Biosphere Reserve. There in Las Terrazas rural community you will stroll through steep roads and unspoiled nature. Add up some adrenaline to this tour by sliding through a 2-km long steel cable. 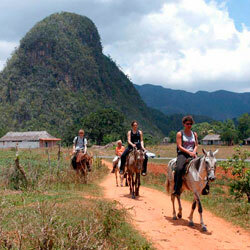 Lunch at a country restaurant will re-energise your body to continue to Viñales. Once you reach this singular Valley a traditional dinner is included at your hotel. After having had breakfast wait for your guide to take you to explore the exceptional beauty of Viñales Valley, a small village surrounded by unique haystack hills. Admire the magnificent landscape in depth and get an insight into the region´s agriculture by visiting some crops fields. 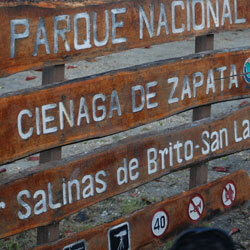 After breakfast your guide will announce that today you will be transferred to the Zapata Peninsula. There, two adventures await an eco-friendly visit to a crocodile farm and some time to snorkel and enjoy at Playa Perdiz. Lunch is included on site before resuming the road trip to Cienfuegos. Accommodation and dinner is at a private place. Your day will be divided into two epic colonial escapades, beginning with a Cienfuegos Panoramic tour after breakfast and an afternoon exploration of Trinidad which includes lunch and visit to one Museum. A Cuban family will be happy to have you in the evening for dinner and accommodation will be at a private house in Trinidad. The jingling bells of the local church will announce that is time to swap the time capsule for a new eco experience. While ascending the winding road leading to Topes de Collantes country resort, photographing is a must. You will learn a lot about local flora and fauna and you will be able to take a swim in the ponds of the area. Lunch will be an awesome experience and it will occur in the tour area. 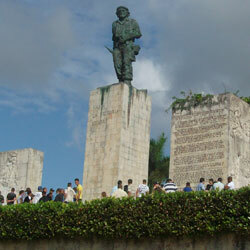 After the first meal of your 9th Cuban morning, you will be transferred to Santa Clara, the so called city of Che Guevara. There, your cycling effort in some sections of the road will be rewarded by a visit to the hero’s Mausoleum and Armoured Train Museum. A lunch at a typical restaurant is booked before departing for Cayo Santa Maria. Accommodation is at Sol Cayo Santa Maria in an all inclusive basis. There are no plans for paradise so you will spend two days at leisure. Contact your guide if you’re open to suggestions, he/she will always know what to advise. You will have long hours in your transfer from Cayo Santa Maria to José Marti International Airport in Havana that you can spend on sightseeing, texting, blogging or sleeping before your outbound flight.